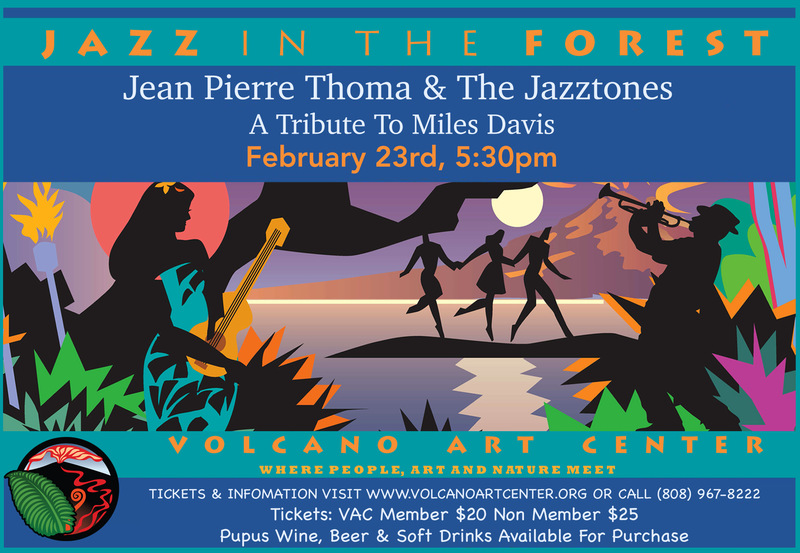 Jazz in the Forest returns in 2019 for a Tribute to Miles Davis concert at VAC’s Ni‘aulani Campus in Volcano Village, featuring Jean Pierre Thoma and the Jazztones performing Miles Davis compositions spanning 50 years of his original and groundbreaking creative directions! Jean Pierre Thoma is a world traveled professional musician on flute, saxophone clarinet and piano, with experience throughout America, France, Japan, India, and Israel. 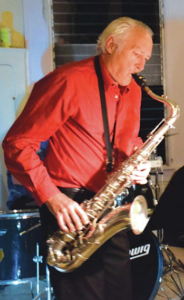 Holds 2 masters degrees in music, and has been a public and private school teacher as well as member of numerous jazz and classical ensembles, such as the Maui and Marin Symphonies. 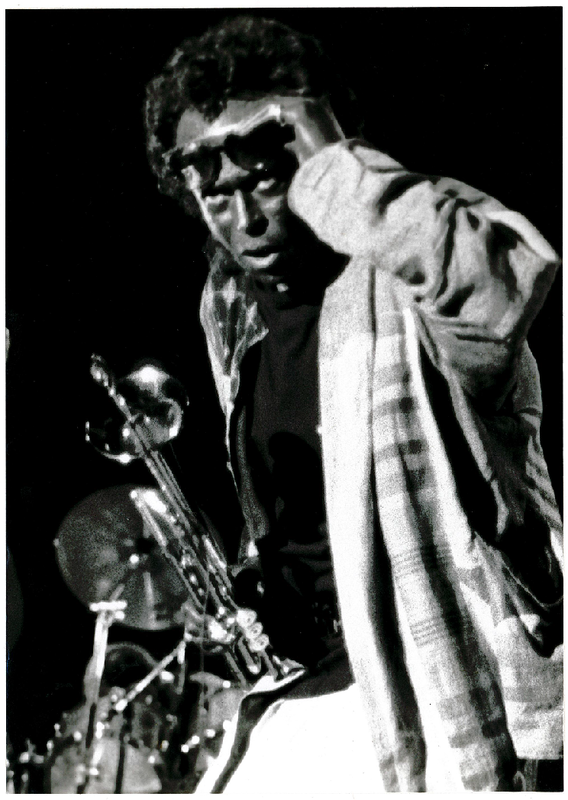 Leader of “The Jazztones” : “Raga Jazz” (with Sarangi, synth guitar & bass): member of “Royal Kona Harp Ensemble” (3 harps w/ 2 flutes & winds): “Volcano Trio” (2 flutes & piano): performer at Holy Cross Church in choir & as instrumentalist; and pianist at restaurants, and charity performances at Hospice and Life Care Centers. Now a music teacher in Hilo at The Pacific Academy of Music, and the Kukuau Studio, he happily lives in Hilo, Hawai‘i. Tickets are $20 for VAC members ($25 non-members)! Ticket holders will be able to purchase beer, wine, as well as pupus. Tickets are available for sale online at www.volcanoartcenter.org, at VAC’s Administration Office in Volcano Village and VAC Gallery in Hawai’i Volcanoes National Park. The last day to purchase tickets online is Friday, February 22. After that, tickets will be sold at VAC Gallery & at the door if they are not sold out. Tickets will be held at Will Call on the day of the show. OR, you may pick them up any day before the show at Volcano Art Center’s Niaulani Campus Administrative Office, Monday through Friday, 9am-5pm.